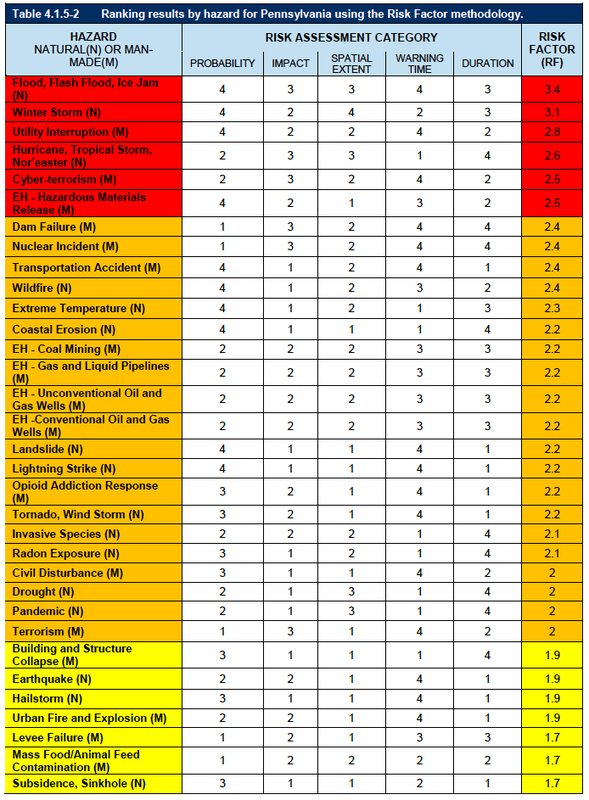 All 33 hazards were ranked in terms of their overall impact on Pennsylvania. 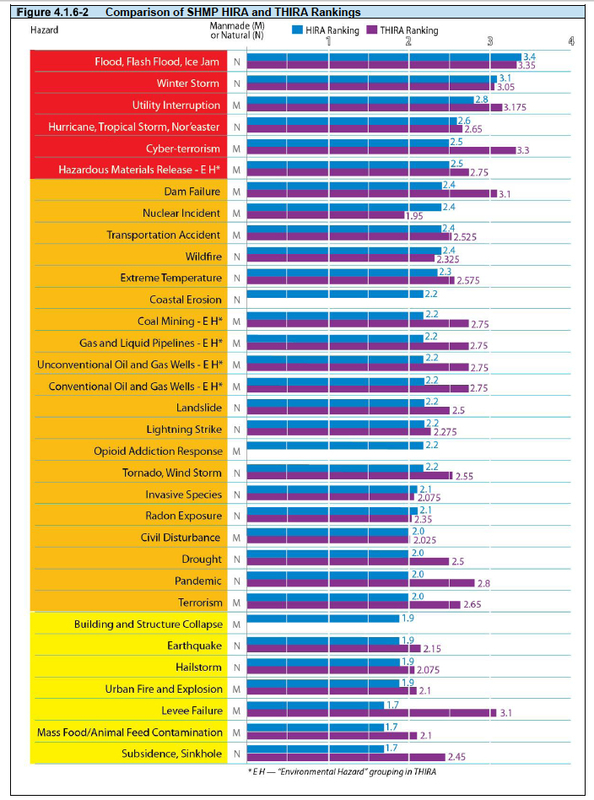 Ranking hazards helps the Commonwealth set goals and mitigation priorities. Each hazard is assigned a risk factor whose values are obtained by assigning varying degrees of risk to the following five categories: probability, impact, spatial extent, warning time, and duration. For more about this process, click here. This chart compares the rankings resulting from two methods of assessing risk. The HIRA risk assessment (completed by PEMA) seeks to determine which hazards are most significant in Pennsylvania, identify regions at most risk and provide guidance for mitigation. THIRA (along with the State Homeland Security Strategy), is a complementary risk assessment that focuses on identifying key gaps in core capabilities and evaluates threats based on likelihood and vulnerability. For more information on the HIRA and THIRA rankings, click here.